Adobe’s lazy and the Google’s motto is bulls#*%—wow Steve, tell us how you really feel. 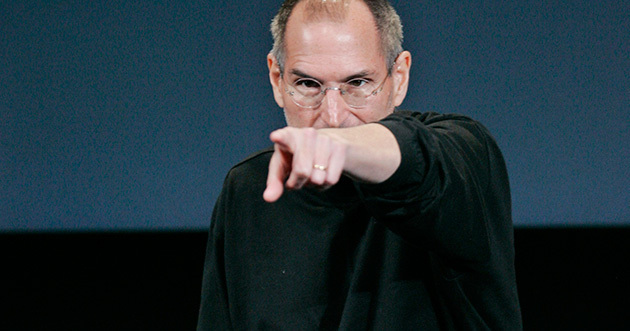 Apple CEO Steve Jobs made headlines this weekend for letting loose on some of his company’s competitors and enemies. According to Wired, Jobs confirmed and elaborated on the brewing competition between Google and Apple during the town hall-style meeting that was held late last week for Apple employees. Jobs also had a thing or two to say about Adobe, eloquently explaining why the company didn’t support it. Wired reported this past Saturday that when Jobs was asked about Google he immediately said that Google wanted to kill the iPhone. Apparently Jobs is a little frazzled by the Google squeezing their way into the mobile phone business. MacRumors reported that Jobs says ‘we did not enter the search business,’ and ‘make no mistake they [Google] want to kill the iPhone, and we won’t let them.’ Also, in response to Google, Jobs called “Don’t be evil”—Google’s unofficial motto—calling it bulls#*%. PC World notes that Daring Fireball’s John Gruber recalls the quote differently, saying Jobs called the motto “a load of crap”—same thing, different smell. These reports cannot truly be confirmed as fact since Wired and MacRumors are both going off of anonymous sources and each other—but we can see this as more fact than fiction. Whether or not these reports are completely accurate and factual, observing the obvious controversies among these tech companies makes them seem more legitimate than not. We’ll keep you updated if more comes down the wire about this.